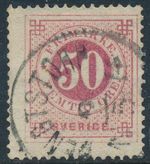 Sweden - The old stamp prices, value of old stamps, vintage stamps worth & cost. Gallery of stamps, rare, single, sets, old stamps, philately, postage stamps collecting. 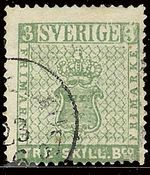 Rare postage stamp year issue - Sweden. Sweden Scott 26/facit 26b, 50? Ringtyp P.14, F-vf U Bengtstorp Cancel Unique!. Stamp price(value) 14 October 2017 - $850.00 *. Rare postage stamp 1955 year issue - Sweden. Schweden 1855-1979 Komplette Sammlung Mit VArnamo (w9746e). Stamp price(value) 14 February 2017 - EUR 3,555.00 *.